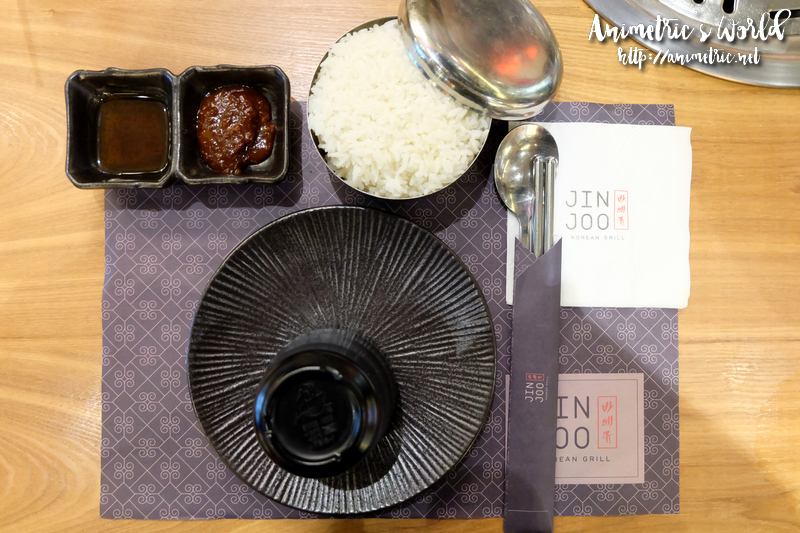 I’ve always wanted to try eating at Jin Joo Korean Grill. The problem is, I found it kind of pricey. 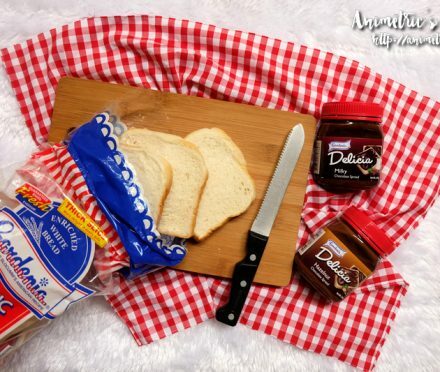 Plates of meat for grilling would cost anywhere from P350 to P1,100 per plate — and one order will surely not be enough. Then I heard of their Unli K-BBQ for P499 (lunch) and P549 (dinner). So we went to Jin Joo Korean Grill at The Podium for lunch. 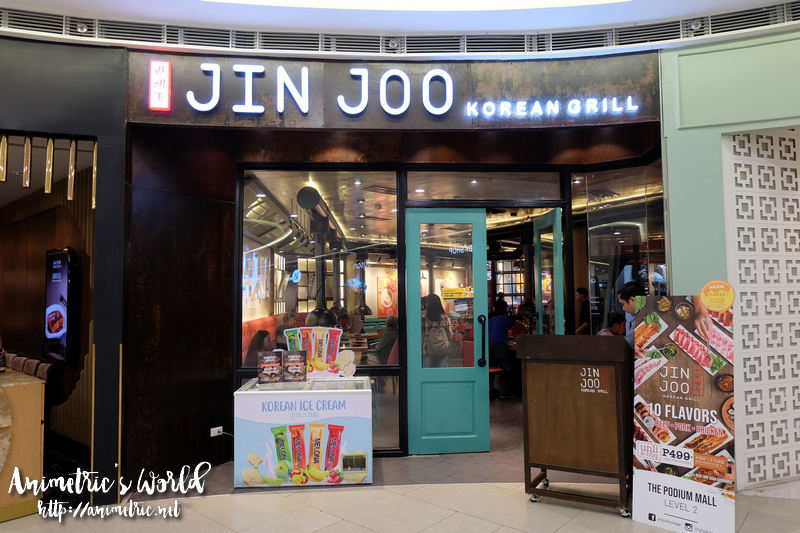 Jin Joo Korean Grill is located on the 2nd floor of The Podium, beside Paradise Dynasty. I liked how spacious the place was with its simplistic, modern interiors. My hubby, kids, and I all had the P499 unli K-BBQ for lunch. For P499 you get unlimited meat, lettuce, rice, and side dishes. 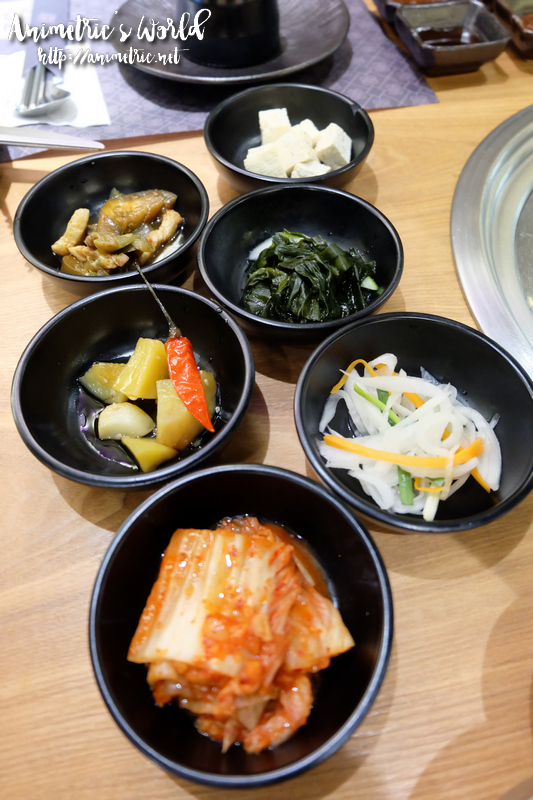 There were a total of six (6) side dishes, all veggie-based. They give you a small container of lettuce for wrapping the meats. You can have it refilled as needed. 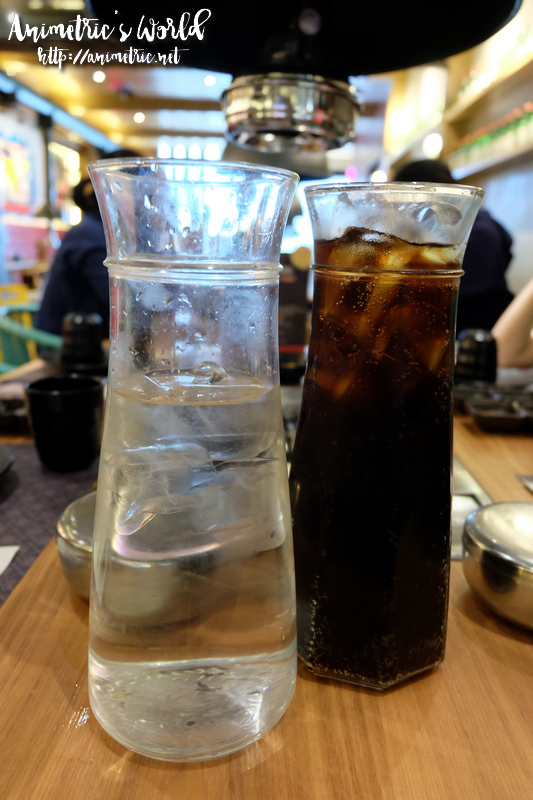 Groups of 4 get a free 1.5 liter carafe of Coke. There are 10 kinds of meat to choose from. There’s a P200 leftover fee for leftover meat per person. 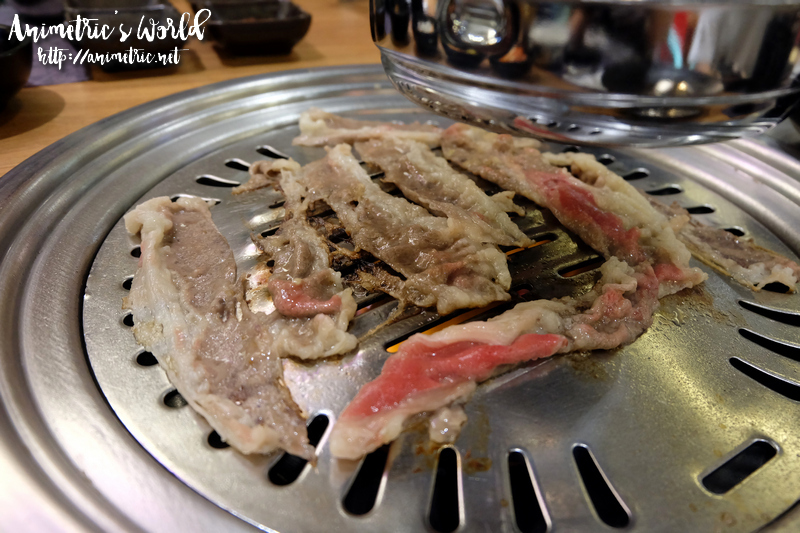 We decided to just have 3 kinds of beef, starting with this Unmarinated Woosamgyup. This one is Dan Woosamgyup, the marinated version of the first meat we ordered. 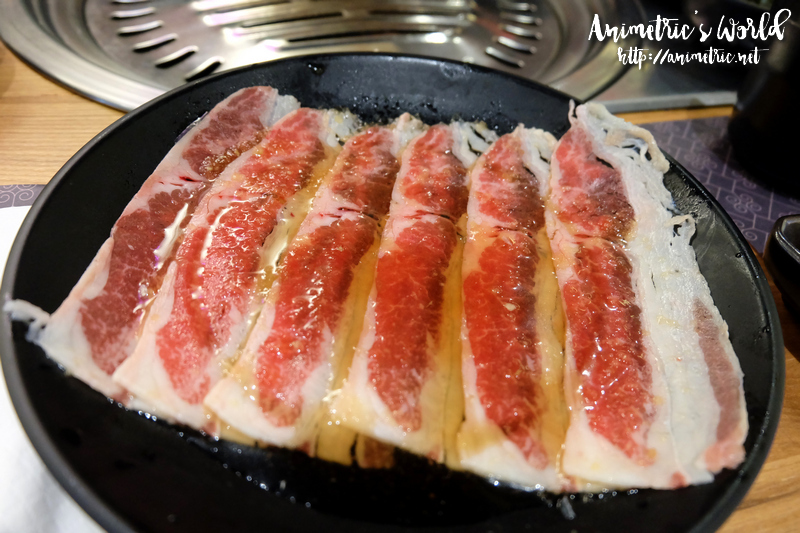 Our third meat was Cajun Woosamgyup. 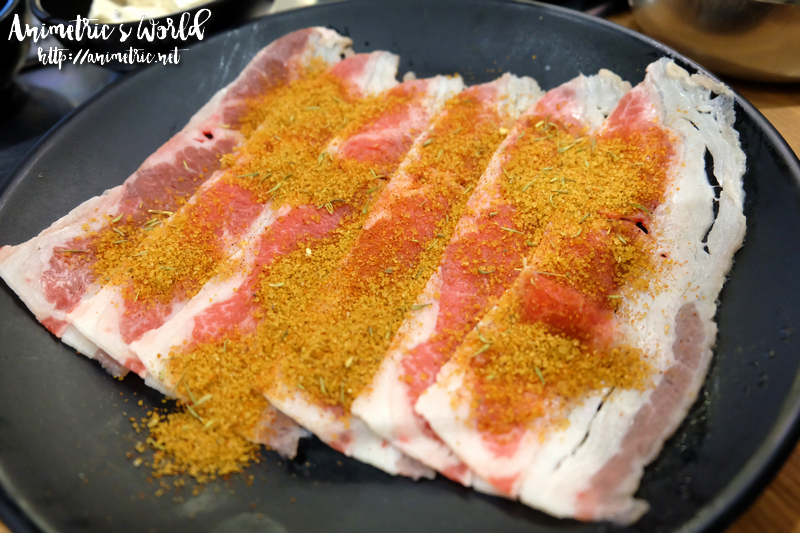 It’s sprinkled with a mix of spices commonly used for dry rubs. We cooked the meats on a charcoal grill installed on our table. 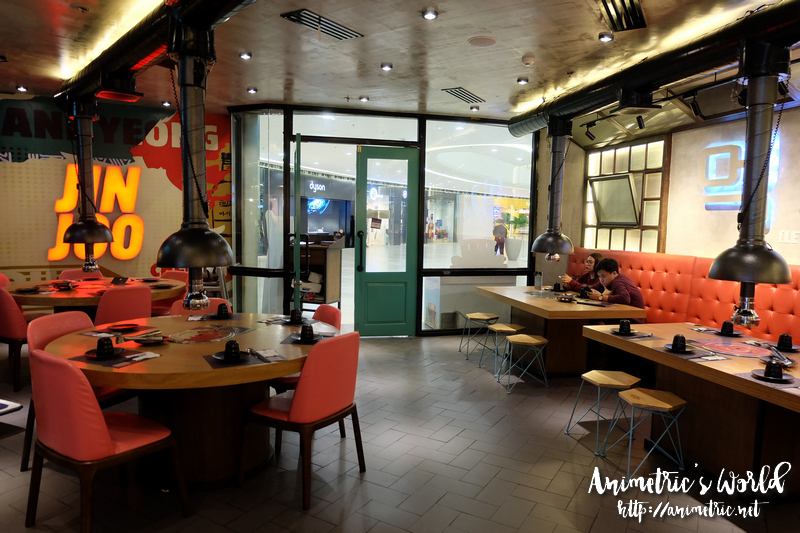 I’m amazed by their exhaust and ventilation system — we did not smell like barbecue after lunch! If you want creamy cheese for dipping, you can simply ask for it. It’s milky and a bit on the sweet side in terms of taste, a nice contrast with the Cajun Woosamgyup. Okay so I’ve been to a lot of eat-all-you-can Korean BBQ places. While I’ve had great meals at some of them, it was always more of quantity over quality. At Jin Joo, it’s the opposite. The meats are on an entirely different level. They look better, smell better, and taste better than those you’d find in the cheaper places. We found it a bit frustrating that they’d serve us 6 thin strips of meat every order. There were 4 of us so one meat order is like one mouthful for each person. We’d end up with a table crowded with plates but not much meat. Doesn’t help that they are really sloooow in bringing out more meat even if the place wasn’t even half full. 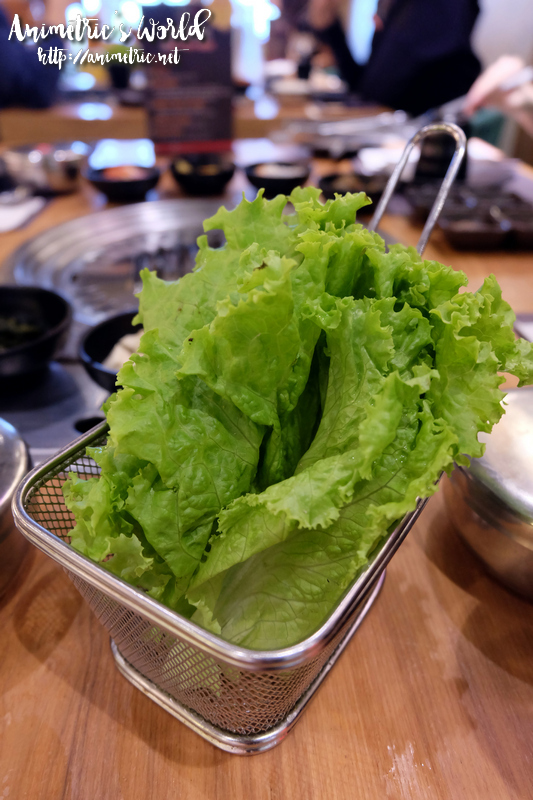 There’s no buffet spread of short order dishes, only unlimited meat, rice, lettuce, and side dishes. 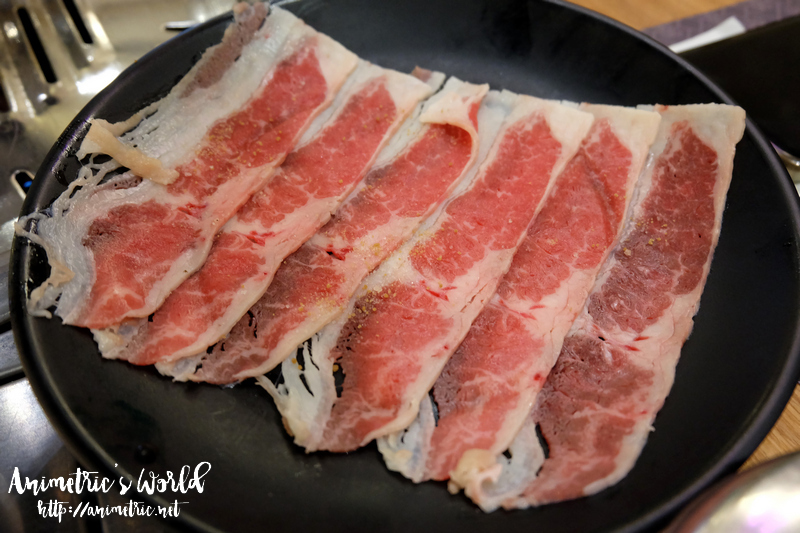 We didn’t mind though because the meats are really really good, quite a big upgrade from the cheaper places. You’re given 2 hours to eat so best be efficient and order only what you can finish so you don’t pay a leftover fee. It was a good lunch. Service wasn’t the best but the food was good. Our son commented that even the side dishes were of better quality. We will definitely be back. Take note that the unli K-BBQ deal is only available at their Eastwood and The Podium branches. 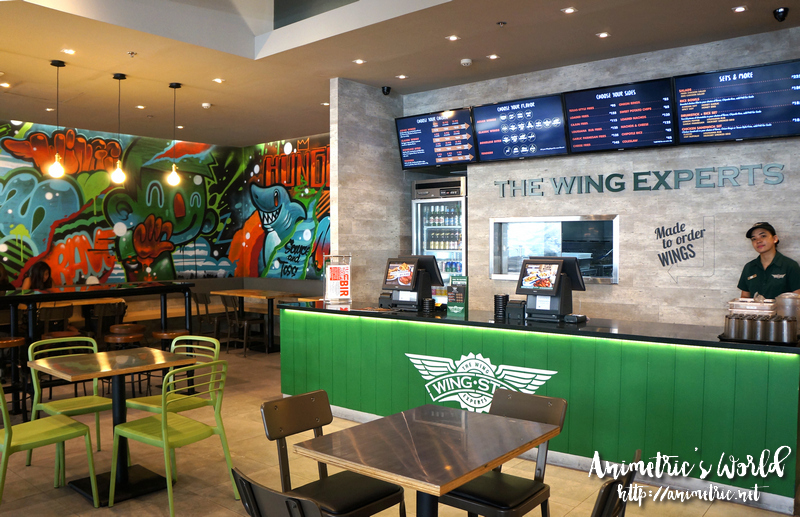 Asian Wings at Wingstop Glorietta! Shopping? Check out the Honestbee Christmas Offerings!